Ronseal Diamond Hard Floor Paint colours and protects interior wood, concrete and stone floors. It is hard-wearing and protects against knocks, scuffs, scrapes and spills. 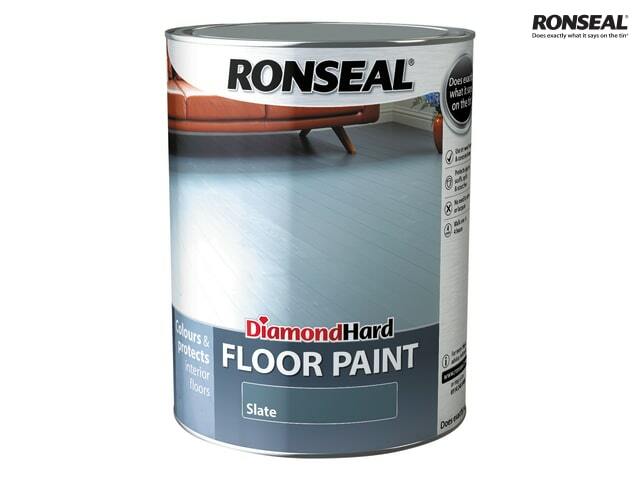 Resists flaking, peeling and chipping, bleach, alcohol, grease and dirt.